A sweet 9 week old kitten who was the victim of abuse when he was forcefully thrown into the air for a video captured on a phone is doing well and, amazingly, came out of his ordeal unharmed. In the barbaric and shocking video, shot in Odessa, Texas, a young man is seen facing the person holding the phone. He is clutching a wriggling kitten in one hand while holding a beer in the other. He turns and hurls the kitten into the air and across a dirty open lot. The man, who has been identified Christopher Gonzales, then turns back to the camera and grins. Both he and his cohort laugh hysterically at their bit of disgusting fun. 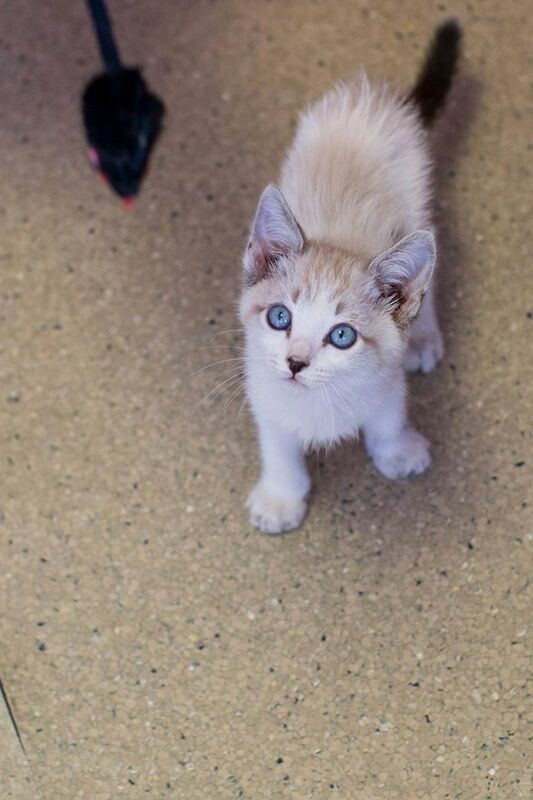 The kitten is safe and doing well at Mesa Verde Animal Clinic in Midland after the nearly 30 foot throw. Amazingly, while he was covered in grease or oil from the spot where he landed, he came out of the incident unharmed. 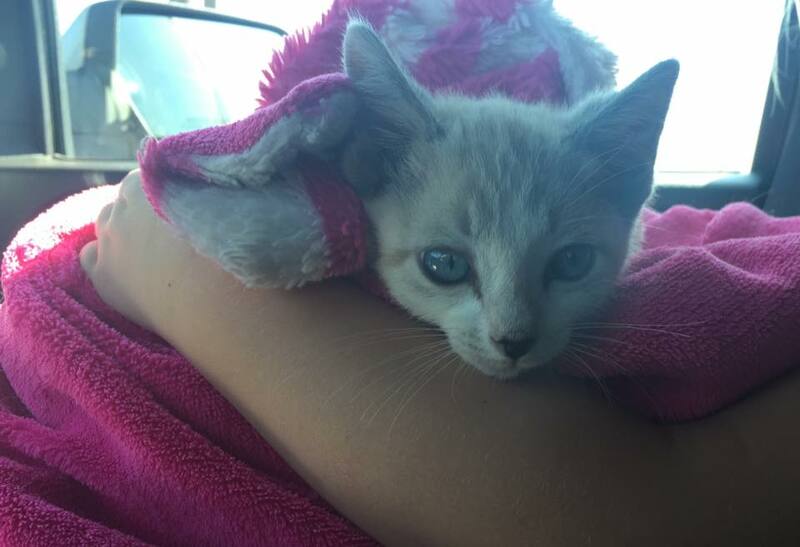 Amanda Renfro, a volunteer with Speaking Up for Those Who Can’t, an organization devoted to helping local shelter animals find homes, took the kitten to the vet after the video was posted online and an animal control officer went to the scene and found him. After police saw the video, Gonzales was arrested and landed behind bars at the Ector County Detention Center, charged with animal cruelty. He also faces a parole violation. Speaking Up For Those Who Can’t will place the kitten with an adopter when he has fully recuperated and is ready. Speaking Up For Those Who Can’t is accepting donations to help pay for kitty’s veterinary care HERE. You can watch the KMID News video on the story, seen below. Please be forewarned, while the video report focuses mostly on the kitten, id does show some disturbing portions of the abuse video.